John Barry, the CEO of WD-40 Company, Inc., passed away recently at the age of 84. He didn't invent the degreaser/rust preventative, but he turned it into a household name. When Barry joined Rocket Chemical Company in 1969, one of his first orders of business was to change the name of the company. 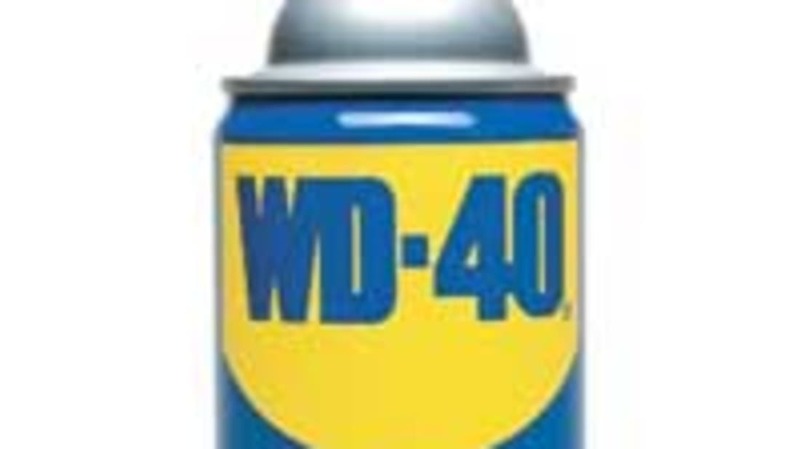 "We don't sell rockets, we sell WD-40. " At the time, employees were selling the product out of the trunks of their cars; Barry's name change finally identified the company with the product, and within one year sales increased to $2 million. The company posted $317 million in sales in the most recent fiscal year. You've probably noticed the tiny pickle logo on bottles of Heinz ketchup that boasts "57 varieties. " As versatile as the company may be, they don't actually manufacture 57 varieties of ketchup. In fact, when Henry Heinz came up with that slogan, he didn't know off the top of his head how many different products his namesake company made (counting pickles and baby food as well as ketchup, the total was over 60 at the time). He was riding a New York train one day in 1892 and browsing at the advertising placards mounted on the ceiling. One in particular caught his eye "“ a store that offered "21 styles of shoes. " The idea of promoting the vastness of your product line struck Heinz as genius, and he chose the number 57 for personal reasons (those close to him at the time suspected it had to do with his interest in numerology and the occult). Stand-up comedians and Austin Powers would have us believe that, much like WD-40, Preparations A through G were failures and H was the winning formula. However, that's not the case. In fact, this case is far more complex, while the name is ultimately simple. This toasted corn, oat, wheat and rice Kellogg's cereal has always been promoted as being packed with multiple vitamins and minerals "“ perhaps a total of 19 such supplements? Nope. It was the 19th new product the company introduced to the market that year. Yes, Virginia, there really is an Absorbine Senior. Absorbine Veterinary Liniment was invented in 1892 by Wilbur Fenelon Young as a rub-down for horses to reduce swelling and stiffness after a workout. Farmers and trainers are not immune to achy muscles, so it stands to reason that they eventually tried using Absorbine on their own painful areas, despite the harsh aroma and the initial stinging when applied to the skin. Wilbur eventually caught wind that humans were using his product, so he developed a kinder, gentler (and better-smelling) version which he dubbed Absorbine Jr. When it comes to stick-to-it-ivity, that WD-40 guy has nothing on Detroit's Morris D. Rouff. Rouff and his brothers were partners in Gem Products, a company that manufactured industrial cleaning supplies. In their search for the ultimate heavy-duty alkaline product that would be useful for industrial applications with heavy de-greasing needs, it took no less than 409 different formulations before they hit upon the perfect mix. Rouff eventually sold his industrial cleaner to Chemsol, who in turn cranked the mixture down a notch for residential use.